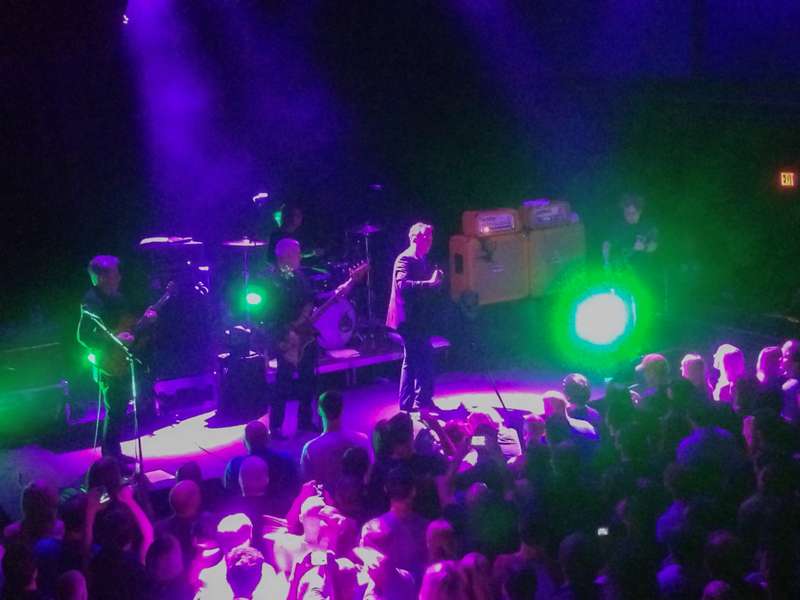 The Jesus And Mary Chain returned to D.C. for the first time in years and tuned up the amps for their show at FedEx Field. Unfortunately, they were playing at the 930 Club. Maybe they remembered that show from 1993 when, even before the 930 Club moved from its F Street locale to its current digs on V Street, the Chain played with Mazzy Star in this very building, which at that point had holes in the roof. Maybe they were hoping that they could be heard at the International Space Station. All we know is that a show that included many of their best songs from that string of great albums that started with Darklands and sadly ended, in 1998, with the under-appreciated Munki, was marred by sound problems not simply generated by the volume dials being turned past Spinal Tap’s 11. Occasionally the glorious mix of the Ramones meeting Lou Reed in the Brill Building basement shone through, and yeah, those hits from Automatic and Honey’s Dead were a sound for sore ears. What started out as a noise rock band was transformed along the way into the greatest exemplars of the Velvet Underground who ever got radio play, but it was hard to hear the Velvets influence last night underneath the din, and this is not simply because we are old as the band is. Jim Reid seemed healthy and happy, which was a delight to see. William seemed slightly bewildered that the subtleties of his guitar playing got electrocuted somewhere between the strum and squall. They had a superb drummer who could have been heard at the Space Station without benefit of amplification. But to these ears, or what’s left of them after last night, what was the most anticipated return by one of our favorite bands was blown away by the megatonnage of nuclear overkill, which really is too bad. This entry was posted on September 10, 2012 at 12:00 pm and is filed under Music with tags 930 Club, Jesus and Mary Chain. You can follow any responses to this entry through the RSS 2.0 feed. You can leave a response, or trackback from your own site. Frenzy. And I do have some questions for you if it’s allright. Is it simply me or does it give the impression like a few of these comments come across like left by brain dead people? 😛 And, if you are posting at other places, I would like to keep up with everything new you have to post. Could you make a list of all of all your social pages like your linkedin profile, Facebook page or twitter feed?